This season: Come join the Tidal Influence team in restoring our local wetlands to functional habitat by eradicating invasive species and helping to maintain this beautiful resource. Our main focus is on tackling non-native weed invasions that hinder native plant growth and the creation of a new public trail system. Our maintenance trails are receiving a face-lift with support from LA County, the RMC, and the California Native Plant Society. 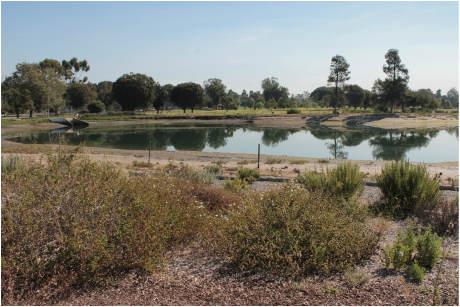 Once completed, this project will provide the extraordinary opportunity for the public to be able to explore a site within Los Cerritos Wetlands without the need of a guided tour. The project will create walk-able trails throughout the uplands of Zedler Marsh, providing unique opportunities to see rare habitat and species from a safe distance. The project will also help to update the educational facilities on site to provide for more hands-on, service-learning activities. Big picture: We have been actively restoring natural habitat and providing environmental education programming at Colorado Lagoon since August 2008. This project is far from complete designs exist that will guide the re-countouring and re-vegetating the Lagoon's north arm and the installation of eel grass beds. 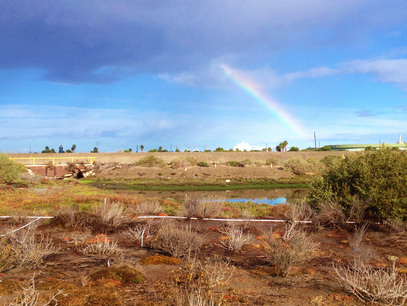 Efforts also continue to initiate the design of a 2.5-acre open channel between the Colorado Lagoon and Alamitos Bay, which will reconnect the lagoon's marine habitat to full tidal flushing vastly improving it's ecological function. This work is all part of a mitigation bank that the City of Long Beach is pursuing with our advising. This season: Help maintain and re-vegetate the Colorado lagoon while learning about local coastal ecology. Our events will focus on keeping public trails and native plant gardens cleared of weeds and trash, and collecting seeds while enjoying migratory bird displays. We also offer a variety of ways to explore the lagoon through nature walks and field trips. Tidal Influence naturalist lead all of these programs and provide participants with engaging activities and recent updates on the restoration project's progress. This is a great place to earn service-learning credits.